Remaining independent for as long as possible gives many seniors a sense of pride. The last thing you, as an adult child, want to do is rattle that feeling of accomplishment. The time may come, however, when an aging parent will have to lean on extra support in the comfort of home. The telltale sign for the necessity of home health care may come as an unexpected jolt, perhaps if your elderly loved one experiences a severe stroke or suffers from a debilitating hip injury. On the other hand, indications for senior care may emerge gradually. A once-tidy parent now fails to maintain the cleanliness of the home; an elderly mother experiences significant weight loss, due to being unable to cook; or, an aging father’s bedroom reeks of urine, due to incontinence issues. Elderly home care for a loved one is increasingly common. Of the 47 million seniors who live in the US as of 2017, most prefer in-home care rather than opt for a nursing home stay. Factoring in that 75 percent of older Americans experience a chronic health condition, and most suffer from at least two, in-home help becomes a realistic need. Chronic ailments can range from mild arthritis to severe cases of dementia. The process of hiring in-home help should be given consideration early, before the need strikes. Start conversations with the aging loved one about the future possibility of a trusted caregiver offering in-home care. An ideal situation is when you allow the senior to independently care for themselves as much as is feasible and for as long as possible, delegating only a few tasks to an in-home caregiver. Gradually introduce a caregiver. Don’t go overboard and hire in-home help to perform all tasks right away. Assess the needs of the senior in your life. Does the aging individual require socialization? If so, you can arrange for an in-home caregiver to provide transportation to senior events and activities. Alternately, the caregiver can serve as a pleasant companion, offering social interactions to prevent the onslaught of loneliness or feelings of isolation in the senior’s life. If your loved one loses motivation to perform hygiene tasks, like grooming and bathing, or is unable to engage in the activities of daily living, an in-home caregiver will provide much-needed assistance. A senior who experiences the onset of dementia may forget to take prescription medications or gradually lose cognitive abilities. In such scenarios, skilled in-home help will cater to the medical needs of the elder. Estimate financial needs. Hiring in-home help costs money. In-home care in Florida, for example, has an average daily price tag of $116 or $42,328 yearly, if the care is 44 hours per week. If your family requires financial help, start investigating government aid from Medicaid, state non-Medicaid programs or the Veterans Association. Floridians, for example, have access to financial programs like Alzheimer’s Disease Initiative, CCE Program and Project R.E.L.I.E.F., among others. Alternately, assess the living arrangements. Weigh whether or not it would be more financially feasible if the senior moves in with you or you relocate to live with the aging loved one. Consider added expenses, like medications, doctor’s visits, home safety alterations, senior care supplies and food. Consult a financial planner who can advise on tax deductions and tax credits for the elderly. Modify the home. A senior’s home should be a safe haven—not a war zone. Glass tables with protruding corners could easily injure a frail elder. Grab bars in the bathroom reduce the risk of falling. Stair railings offer the same benefit. Non-slip rugs protect a shuffling senior from tripping or slipping. Even minor modifications, like keeping only easy-open food jars, in the kitchen are beneficial. Post emergency contact phone numbers on the fridge for both the senior and the caregiver. Fortunately, a professional in-home caregiver is skilled in preventing fall injuries and can recommend improvements to the senior’s living space. Seek the help of senior care professionals. Overwhelming yourself by assuming the full load of responsibilities while caring for a parent is detrimental to both your health and the well-being of the senior. Share the responsibilities of care with compassionate elder care specialists. Geriatric doctors are among the most skilled physicians to understand the unique medical needs common to the aging population. Geriatricians possess the medical knowledge to diagnose and treat chronic ailments that plague seniors, from strokes to frailty, and memory issues to frequent falls. These medical professionals can also assist with side effects related to prescription medications. Assemble a senior health care team to treat your loved one in a crisis and provide ongoing medical care. A geriatric health care team may be composed of a social worker, nutritionist, nurse, occupational therapist and pharmacist. When an aging senior needs in-home care, take a moment to consider what type of assistance you can bring to the table. You may discover a career, family life and an individual set of obstacles prevent you from providing thorough, personal care for an elder parent. In such a case, hiring a caregiver from an in-home senior care agency is optimal. Assisting Hands Home Care offers dependable home care services to increase the well-being of the senior population. Experienced and skilled caregivers provide comprehensive senior care, including personal care (grooming, bathing, toileting and dressing), meal preparation and grocery shopping, transportation to doctor’s visits and social outings, and companionship. Our pleasant caregivers relieve their senior care recipients of boredom, loneliness and isolation. When urgent, short-term care is required, Assisting Hands Home Care will dispatch a respite caregiver to your loved one’s home. If 24-hour care becomes necessary, our home care agency is well-staffed with qualified caregivers who will meet the senior’s needs around the clock. Assisting Hands Home Care reliably serves the Miami Beach, Florida, community of seniors and their families. 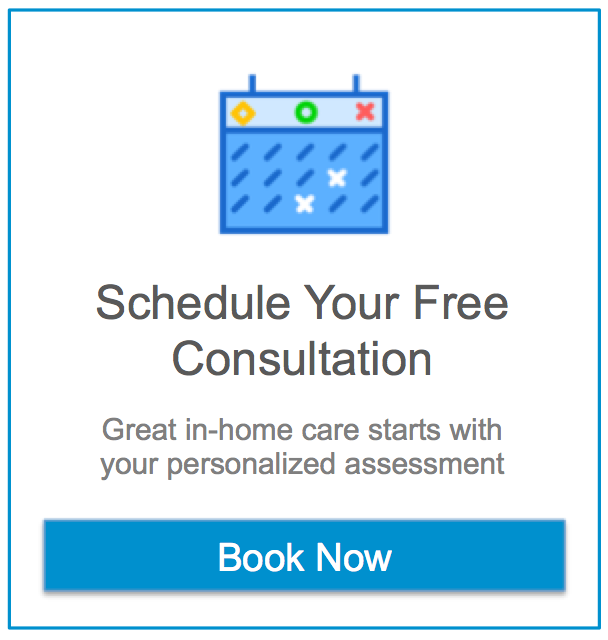 Our team of compassionate caregivers and home care representatives are available to meet with you to develop the most ideal home care plan.